Let me start out by saying, for the most part, I am not a fan of large chain restaurants. It’s not that they aren’t providing convenience; it’s just often they stop caring about produce value somewhere along the chain. Usually, when the chicken starts to look reconstituted and they start labeling GMOs on the menu (See Chipotle) I notice that overall quality has retreated. Enough with my rant; somehow, Lyfe Kitchen has lured me in and made me a believer in their vision. It’s not as hippy dippy as Café Gratitude, no offense to the most thankful restaurant in town but it has a crowd attributed to the namesake. Lyfe Kitchen, which opened in 2011, is an acronym for “Love Your Food Everyday”. 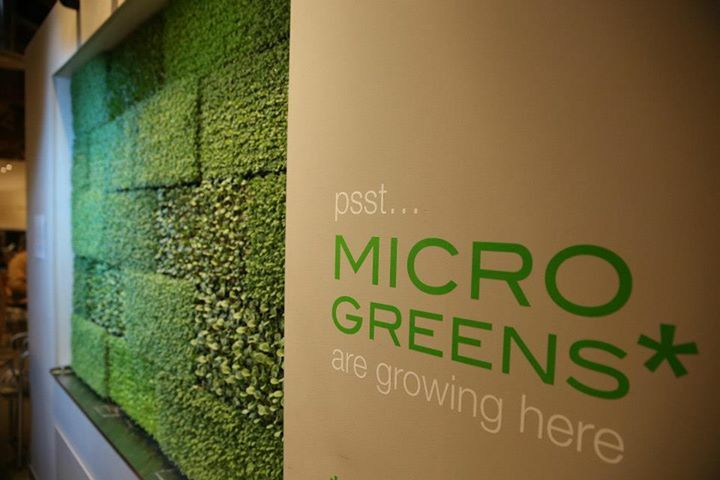 This may sound corny that is until you experience the modern décor complete with micro greens on the wall, friendly staff and great-tasting food that is convenient, affordable and good for you. As soon as it opened in Culver City, I was first in line (There is Palo Alto location as well as well as a plan to open 250 locations within the next five years). They have three menus to choose from: regular, vegan or gluten-free. I perused all three and saw so many dishes that were low calorie (Under 600) with an average price range of $8 - $15. I ordered the Fish Tacos which consisted of grilled mahi, chayote slaw, avocado, green onion, cilantro, chipotle aioli salsa fresca, on warm corn tortillas Cost: $9.99. Once you have ordered, they give you a gps table marker and bring you your food, water and utensils are DIY. The tacos were fresh tasting and delicious! Of course I had to come back for breakfast and I must say their Ancient Grain Buttermilk Pancakes were a game-changer; made with Whole-Grain Farro and Quinoa, and topped with with Fresh Berries, Greek Yogurt, 100% Maple Syrup all for $4.99…brilliant! Lyfe Kitchen is an ideal dining experience because it is both health and budget conscious and the staff is super friendly and helpful, I highly recommend this establishment.